It warms my heart to be a granddaughter of this man who was able to see beyond himself, to empathize with a fellow human being, in such a respectful and loving way. 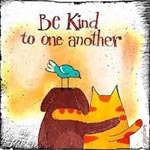 Edward met a fellow traveller on the road, cold, and down on his luck, and was able to do something about it, so he did – simple as that. The values by which Edward lived his life certainly contributed to influencing the values and behaviour of his 7 children. My mum and her six brothers were kindness itself, as they lived their lives, serving the needs of their families and those around them. My colleague, Kathryn Radloff and I, recently released an international version of our popular values song, ‘LIVING VALUES’ which does just that. 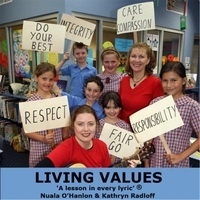 ‘LIVING VALUES’ is a whole school, anthem-style song, encapsulating the values set out by the Australian government’s nine 'Values For Australian Schooling' document. Students paint each value word from the song, and attach to a ruler to form a placard (to be used in a simple, assembly performance piece). 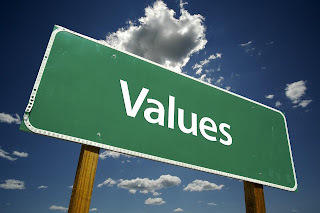 FYI: 'LIVING VALUES' is available as a digital mp3 download.